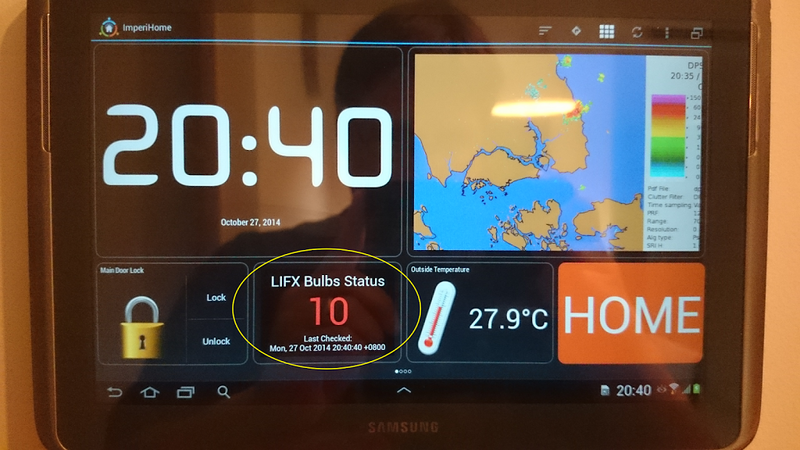 I wanted to add a widget to my Imperihome set-up telling me if my LIFX API was still running. If you check my earlier post, you’ll see that I am running the unofficial Ruby LIFX HTTP API from https://github.com/chendo/lifx-http. I decided to write something simple in php and run it also on the Raspberry pi. But first, I need an http server. I decided to go for lighttpd (following directions from this page: http://www.penguintutor.com/linux/light-webserver).